Download a calendar with key IRS reminders. 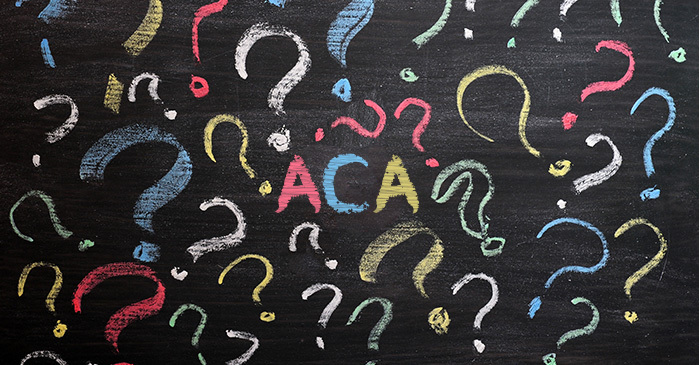 For the first time last year, employers faced the daunting task of reporting employee healthcare coverage information under the Affordable Care Act (ACA). It was no easy task to interpret the regulations, gather the necessary data and complete the mandatory 1095 IRS forms. Although President Donald Trump made bold promises to repeal and replace the ACA as soon as he took office, he quickly learned that such immediate and sweeping action isn’t realistic. In an interview on February 5th, he admitted that the process is complicated and might take longer than anticipated. Now, many lawmakers are looking to “repair” the ACA instead, with President Trump and House Speaker Paul Ryan both extending the timeline for making substantial changes to late 2017 or even 2018. Information reporting remains mandatory this year … and possibly beyond. The information you tracked in calendar year 2016 must be reported in the coming weeks. Looking ahead, keep in mind that even a full repeal of the ACA wouldn’t necessarily eliminate the reporting requirements. In 2016, the schedule for ACA reporting didn’t mirror annual 1099 and W-2 filing, as originally planned. Rather, businesses got an extra two months to distribute forms to employees, and up to three more months to file with the IRS. Many employers are mistakenly assuming they have the same padded schedule this year – or that the IRS will announce new dates in the final hours. The extensions aren’t as generous for 2017. Yes, the IRS announced new deadlines in late 2016, but they’re not as padded as the previous year. The timeline is March 2, 2017, for distributing the 1095-C to recipients -- and either Feb. 28 (for paper filing) or March 31 (for electronic filing). Last year, the IRS offered “good faith transitional relief” from certain penalties. This was largely due to the fact that employers were managing ACA reporting for the first time and weren’t clear on all the details. Some employers are under the impression they’ll get the same breaks in 2017. The IRS may still allow for certain inaccuracies with your filings (such as taxpayer ID numbers and birthdates), but they won’t permit late filings, incomplete filings or the “willful neglect” of not filing at all. Penalties are steep if you miss the deadlines: $260 per filing, up to $3 million. The financial hit is even higher for outright failure to distribute employee statements or file with the IRS: $530 per form, with no maximum. Electronically filing your forms with efile4Biz.com is the fastest, easiest way to meet ACA reporting requirements. Just add your employees (or select employees from last year), enter your data and submit! We print and mail copies to your employees and e-file your forms directly with the IRS. We even notify you when your forms are sent to employees and when they are accepted by the IRS.